Parent Question: I'm due to give birth to my first child in two months. I can't wait to meet my baby. I want our first magical meeting to be perfect. Are there any baby signs I should watch out for that tells me what my baby is "saying''? It is exciting to finally meet your baby after all those months of pregnancy and feeling them move inside you. I am concerned however that you imagine your first meeting to be magical and perfect, it maybe, then it maybe not. This will depend how your labour progresses and how your birth experience is, both which are beyond your control. You may visualize and hope to have a labour that is easy and quick however, this is certainly not a given and may not be your experience. If so, this does not mean that you have ‘failed’ or ‘done something wrong’ or that ‘your body failed’ it is just the variation of childbirth and labour that women experience. So please adjust your hope that it will be perfect and expect it to be as it is and that you will be able to cope with how it progresses. As for your question of what type of signs you can watch for, take note that within hours after being born your baby will try to communicate with you not just by crying but also by their eye contact. Your baby will, when ready, intensely gaze at you and take in your looks, smell and expression. When your baby seems tired, he or she will briefly glance to the side and then back to you to again hold your gaze. This is a very precious time and an intimate form of communication from your baby. Please do not be in a hurry to move on but wait for your baby to re-focus. If your baby does then they are intently taking in you. If not, they are then tired and need to be wrapped and allowed to fall asleep. This is one of the first signs of communication from your baby. Following this you need to be aware of their signs of tiredness which means they are ready for a sleep and if you focus on your baby’s expressions and signs you will be able to meet their needs the vast majority of times. 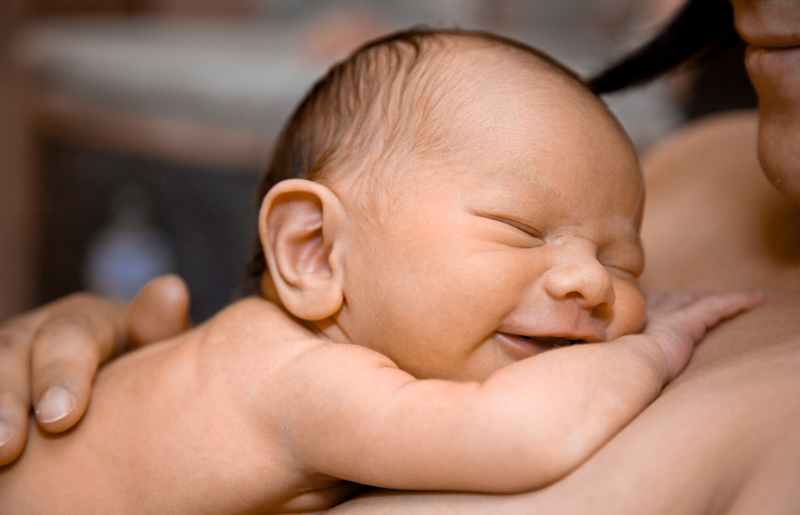 As a result, your baby will feel understood and be happy and content. Be sure to enjoy these precious few months, they are months that you will look back on in years to come and are usually a bit of a blur. Enlist as much help as you can because although you think you don’t need it now… it is very welcomed.